Today I visited Goreibitsu Pass from which I could view Lake Inawashiro. 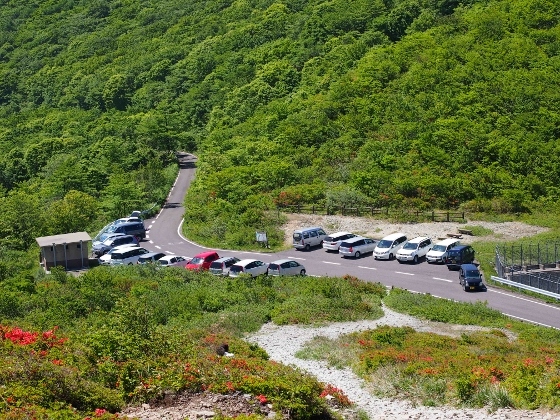 Goreibitsu Pass was located on the forest road which connected Lake Inawashiro and Ousemachi of Koriyama City. The altitude was 880m. Bears and antelopes also live along the roadside. Since it was a clear Sunday I met many cyclists pedaling one after another. 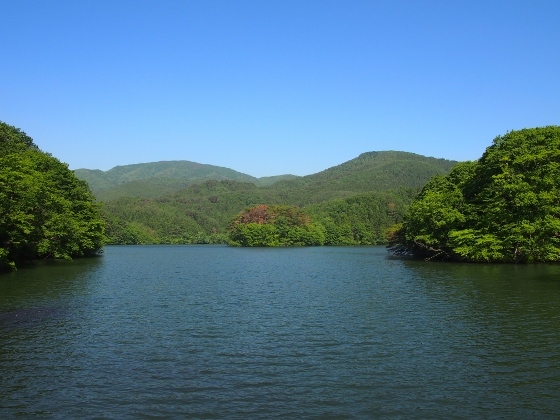 On the way there was Kitazawa Pond which had been made by a dam for irrigation as shown above. The location was red asterisk 1 in the map. 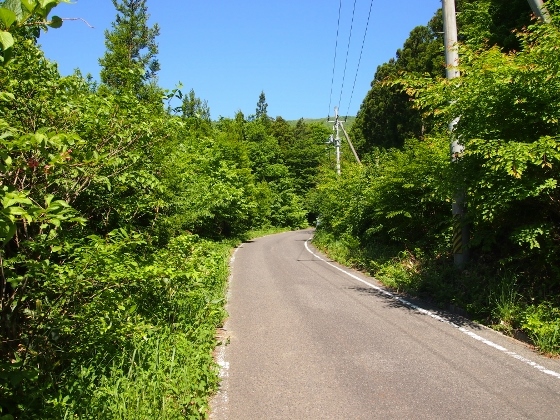 The forest road to Goreibitsu Pass was full of fresh green leaves as shown above thus was very refreshing. 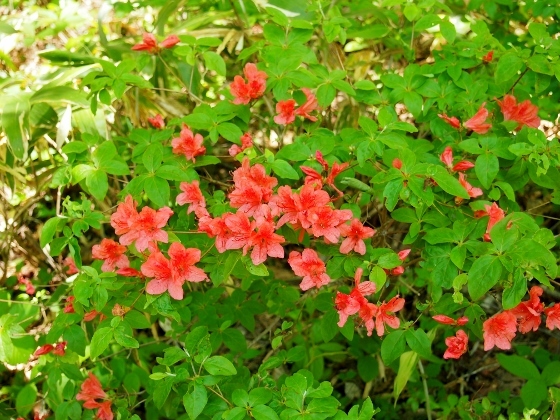 There were many wild azaleas and weigela hortensis in bloom along the roadside as shown above. 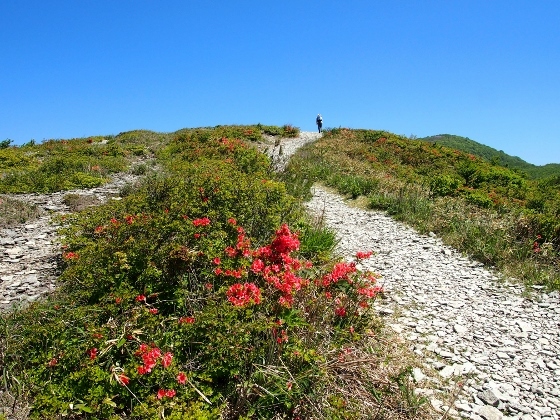 Above 700m in altitude there were many cicadas singing together. 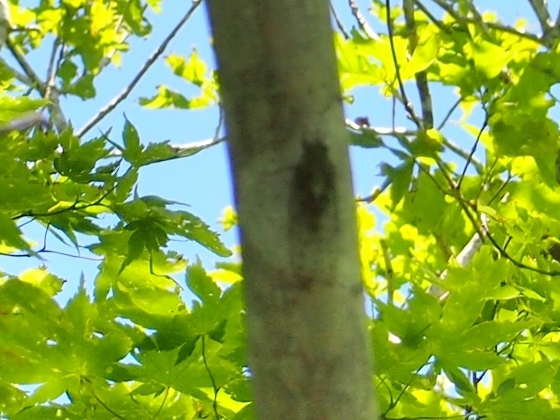 Although I took a picture of a cicada high upon a tree it was out of focus as shown above. 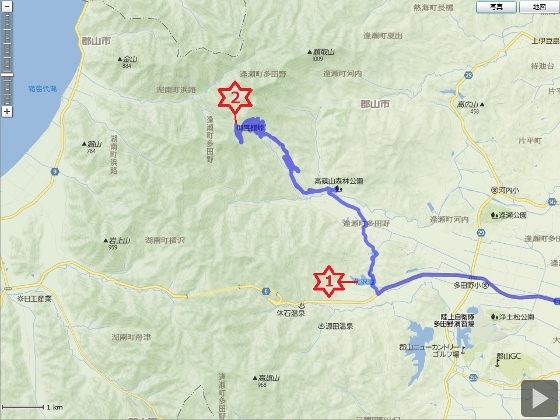 I finally arrived at Goreibitsu Pass. 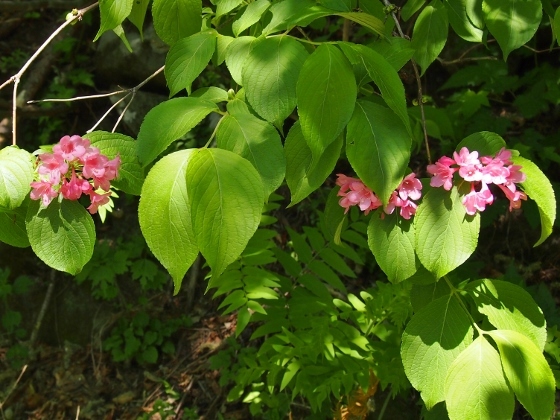 The picture above was taken from the hill beside the pass. The location was red asterisk 2 in the map. 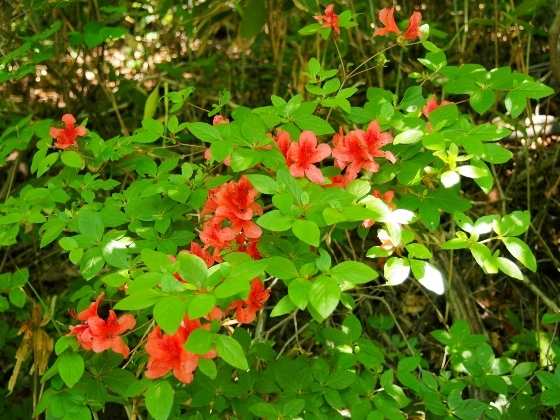 Wild azaleas on the hill were still in 30% bloom and the best time to see will come soon. 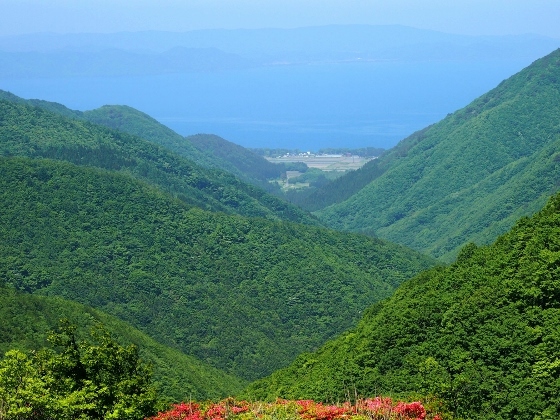 From the top of the hill I could see a splendid view of Lake Inawashiro as shown above. The wind at the top was very strong although no wind turbines were there.